Cityscapes worked with Tony Heywood and Alison Condie to re-located their piece The Majesty from Chelsea Flower Show 2013 to one of the vaults underneath Waterloo station, part of now-closed The Old Vic Tunnels. 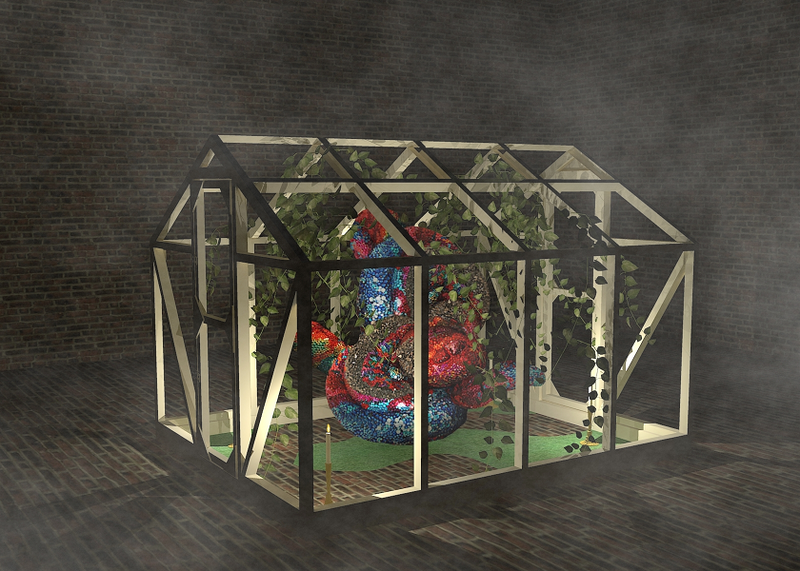 One section of the installation was to feature their sculpture in a greenhouse, and as part of the process of getting funding and approval for the project I was asked to create a visualisation of what he final piece was to look like. Definitely one of the more unusual things I’ve done, and was also a chance to learn more about the light rendering package Kerkythea and to use heavy post-production in Photoshop to create mist and add other elements.